A common misconception among those with no genealogical background is that people with the same surname could be related. In some areas of the United States that could be true for me. If I run into someone with the Tanner name or Tanner ancestors in Utah or Arizona or some other Western United States of Southern Canada locations, there is a good chance we are related. But the key to using surnames as a finding aid is to match surnames to locations. Even very common names will show some geographic variations. But there is a way to take that process even further and find your ancestors by looking at the frequency of names in a specific geographic area regardless of the frequency of the name. To start, you need to realize that your surname's spelling may have changed over time. It is not enough to say that you are likely related to someone who spells their name the same way as you do. Also, unique names are only unique if they are unique all over the world. For example, if your family came from Central Africa, you may have a very unusual surname in the United States, but your name may be common in your ancestral homeland. Next, it is absolutely important that you have a specific place to begin research. I mean "specific" in the sense that you have documented an exact location of an event in the life of an ancestor. When you have researched and discovered a target area you can further refine surname searches with given names. With a surname (and variations) and a specific location, you can begin searching using any one of the large online genealogical database programs. 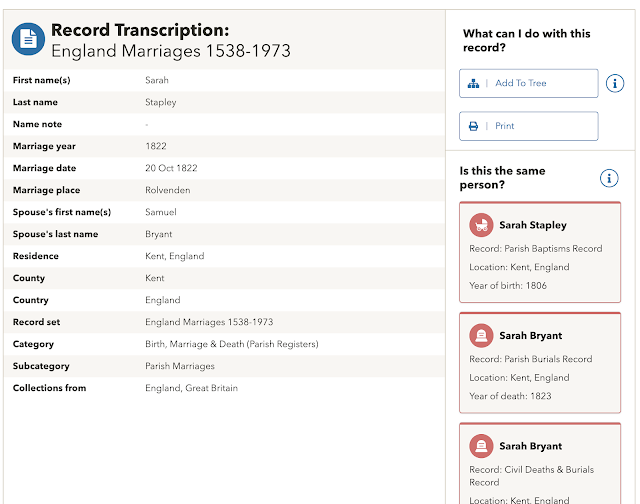 I will give an example from Findmypast.com because this website is the easiest and most accurate to use for this type of research, but technically, you could use any surname database that has entries that are tagged to locations. My ancestral example will illustrate the concept using a family from England. But this works almost everywhere in the world. It may not work well if you happen to have a huge number of people with the same surname in the same are who are not demonstrably related. Once you begin this type of research, you may also find previously undiscovered relatives. This is a bonus for looking in a specific location. Here we go. One of my ancestral families has the surname of Stapley (with some variations). 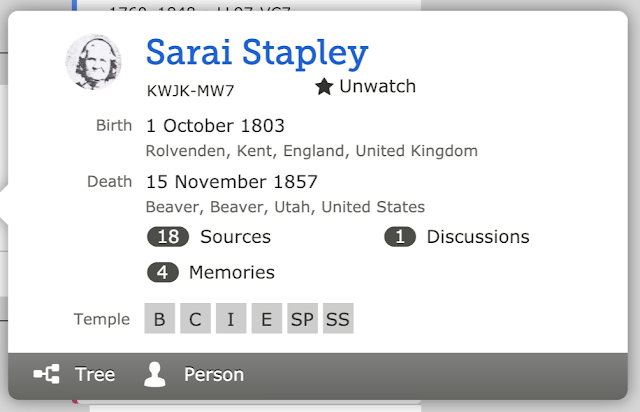 The most recent ancestor in this line is Sarai Stapley. According to a record from England Births and Christenings, 1538-1975 she was christened on 3 November 1805. Her birthdate comes from more recent records subsequent to her emigration to Australia and ultimate travel to the United States. Now we can start with finding out how many Staply or Stapley family members lived in or around Rolvenden, Kent, England. 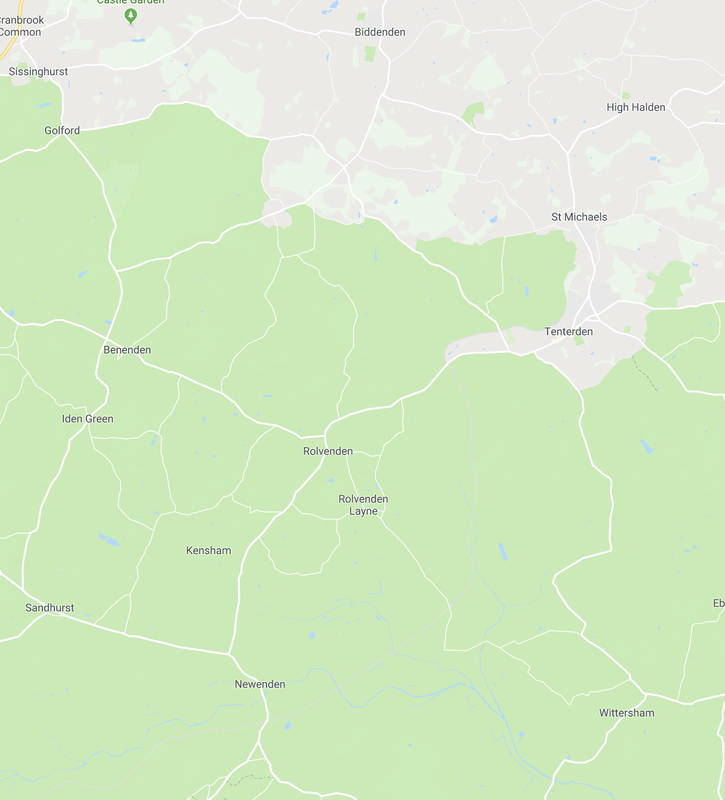 First, where is Rolvenden and what are the surrounding villages and towns? Unless, the place no longer exists or the information is inaccurate, finding this information is as simple as looking on Google Maps. Here is Rolvenden in the middle of this screenshot from Google Maps. 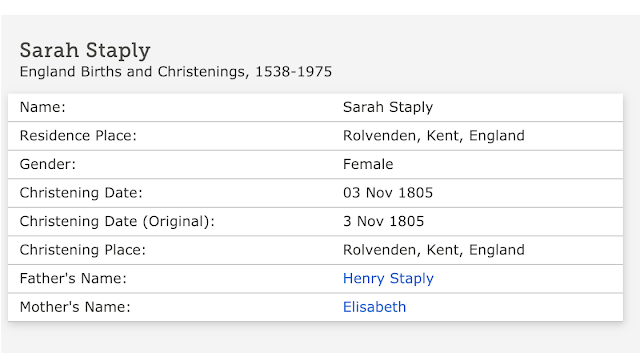 Let's see how many Stapleys or Staplys there are in England and then in Kent and then in the area around Rolvenden. I begin by searching all the records in England that have Stapley or its variations. 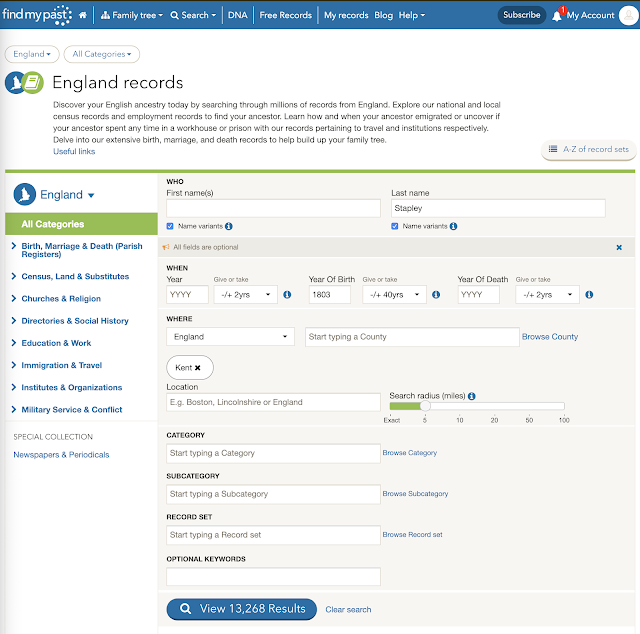 This search indicates that in all the records on Findmypast.com there are 472, 160 records for people who have the Stapley surname or its variants. From my experience, this number is in the low range, not at all unique, but not overly common. Now we limit the number to the County of Kent and I may as well add in the time period involved, plus or minus 40 years. That cuts the number of people down considerably but we still have a large number of people in this one county with the same surname. Now if we go to the location we should see a further reduction. We can also indicate a search radius in miles from the town. Now the number drops to a useful level. I can work with the distances and add in names but now I have a basis for assuming that most, if not all of these Stapleys are related to me and to can use the information to expand on the entries in my own family tree. 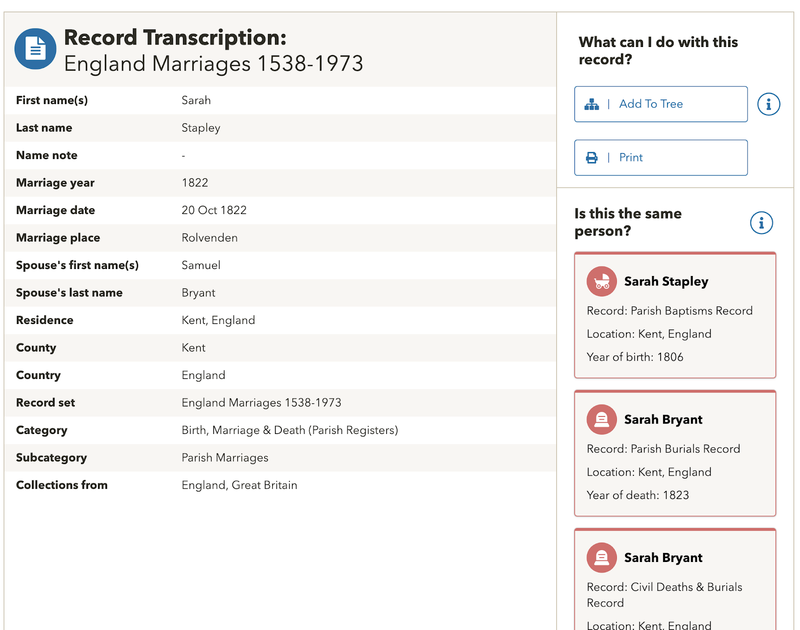 In fact, I immediately find a marriage record for Sarah Stapley and Samuel Bryant, her husband. I also find record hints for more records. As I indicated, this can be done with other websites, but not as completely or easily. If you keep this process in mind, you will find a considerable number of instances when it will be extremely useful. 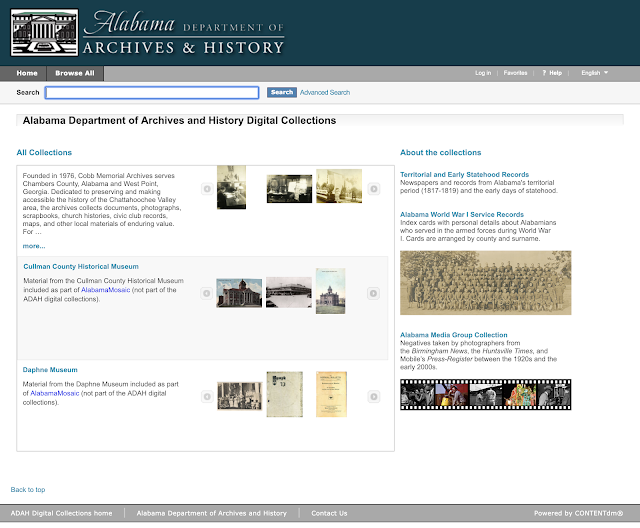 This is an ongoing series of posts highlighting the resources of all 50 of our state archives in the United States. I am working through the states alphabetically but you are welcome to request that I jump ahead to your favorite. Just tell me what you would like to see in a comment. Arizona's experience with document storage i.e. archives is probably similar to many of the states except for the time period involved. 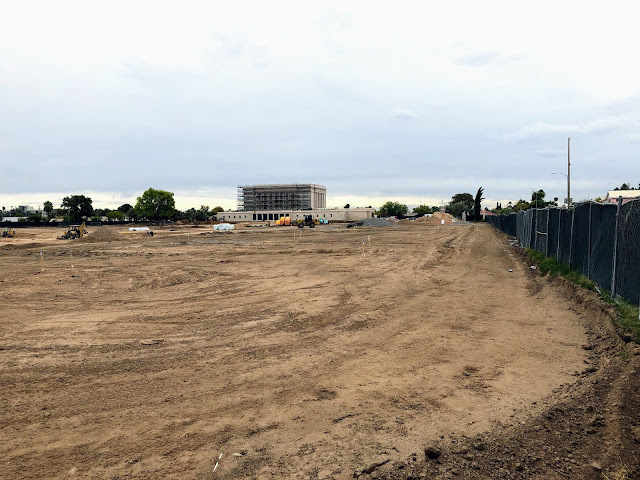 Here is a quote from a website that addresses the construction of the Polly Rosenbaum State Archives building, which currently houses the Arizona State Archives. 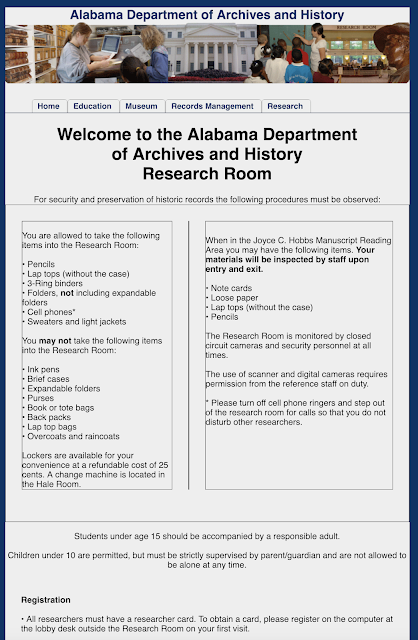 The Polly Rosenbaum State Archives and History Building preserves state documents, artifacts, and public records that require precise climate controlled storage as well as additional protections from biological, environmental and mechanical hazards. Prior to the Rosenbaum Archive’s completion in 2008, over 250,000 boxes of irreplaceable materials were being stored in various locations around the state, including in the attic of the Capitol Building. Worse, every month, a number of these relics of Arizona’s history were being destroyed due to a lack of space. Insect and rodent infestations in these areas were so severe that merely handling the papers would have posed a significant health risk. Because of the delicate nature involved in preserving these items, designers conducted extensive research to insure that the new facility would remain a cutting-edge sanctuary designed to protect the valuable historic assets. Expert consultants advised on every aspect of construction, from lab equipment to the individual building materials. 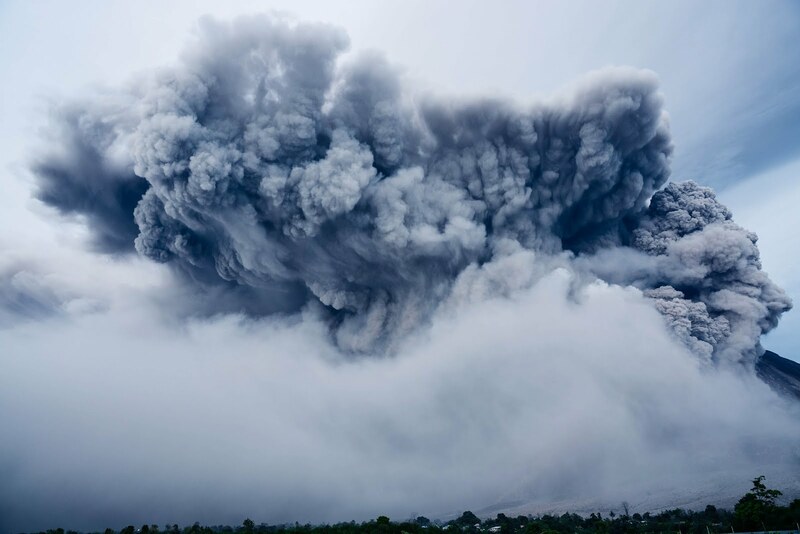 All possible threats were considered, from fire, water, and other environmental dangers to theft and rodent infiltration and even terrorist activity. Note the date of completion in 2008. The first European settlements in Arizona began in 1539. The city of Tucson was established in 1775. Hence, Arizona history goes back before the establishment of the Plymouth Colony in 1620 in what is now the Commonwealth of Massachusetts. In short, there was no organized area-wide document preservation effort in the State of Arizona for about 469 years. From a genealogical standpoint, this time lag indicates the difficulty researchers will have in locating and reviewing pertinent historical and genealogical records. It is also important to remember that Arizona became a state on February 14, 1912. Of course, some records were being preserved during the entire history of the State but those records are scattered across the state and in other collections outside of the state. 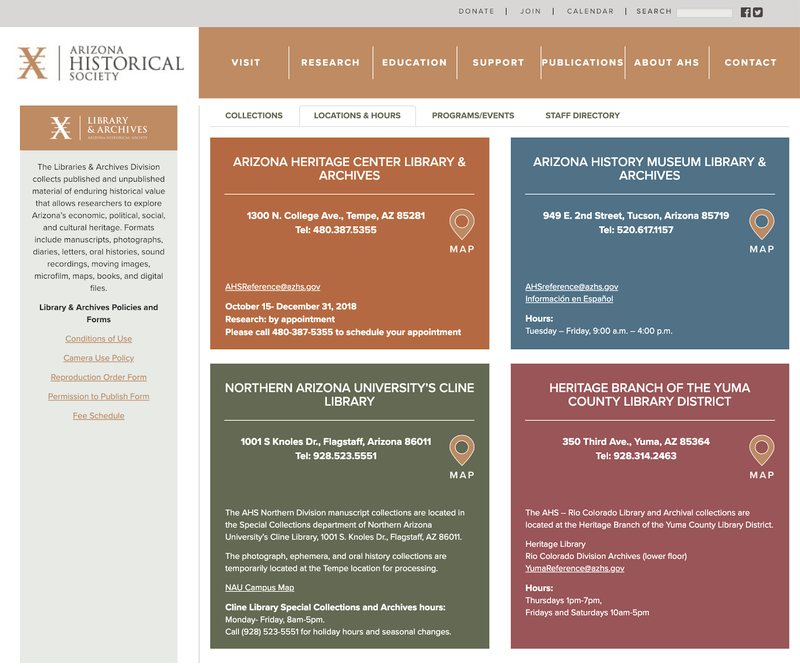 For example, the Arizona Historical Society has four major locations in Arizona and an extensive collection of documents. The Arizona Historical Society is proud to serve as the steward of Arizona’s history. Our collections, housed in AHS museum facilities throughout the state, number in excess of three million objects. Our artifact and manuscript holdings offer unrivaled opportunities for public programming, educational outreach, and exhibitions, as well as academic and community-based research. AHS collections not only provide premier resources for recounting Arizona’s past, but are invaluable tools for promoting public understanding of contemporary issues such as water availability, immigration, free trade, mining, ranching and agribusiness, the defense industry, cultural diversity, and urban development and revitalization. 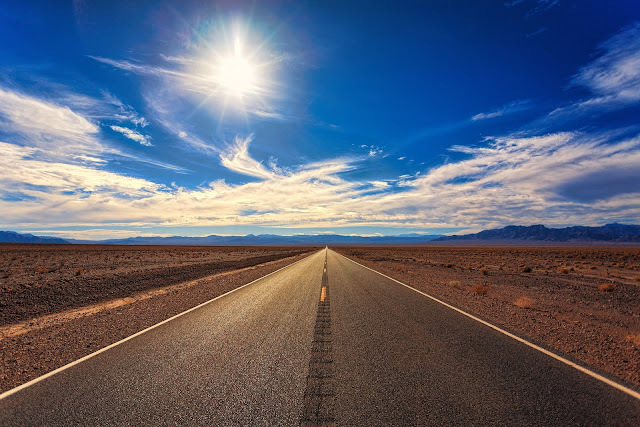 The Arizona Historical Society — through its exhibits, programs, publications, and outreach — informs and inspires people of all ages by reminding them of the boldness and daring that characterized countless individuals, past and present, who have made Arizona their home. Genealogists who are unfamiliar with the differences between state historical societies and the state archives should take note of the need to look for documents in multiple organizations. 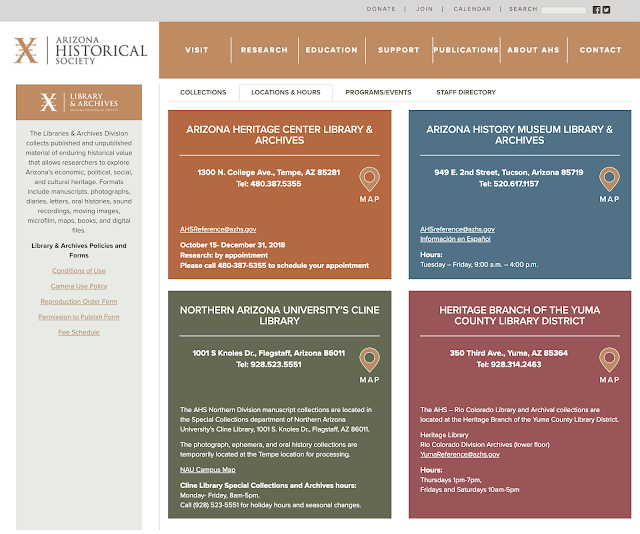 Arizona, like many other places in the United States, also has a number of local and county historical societies and organizations. 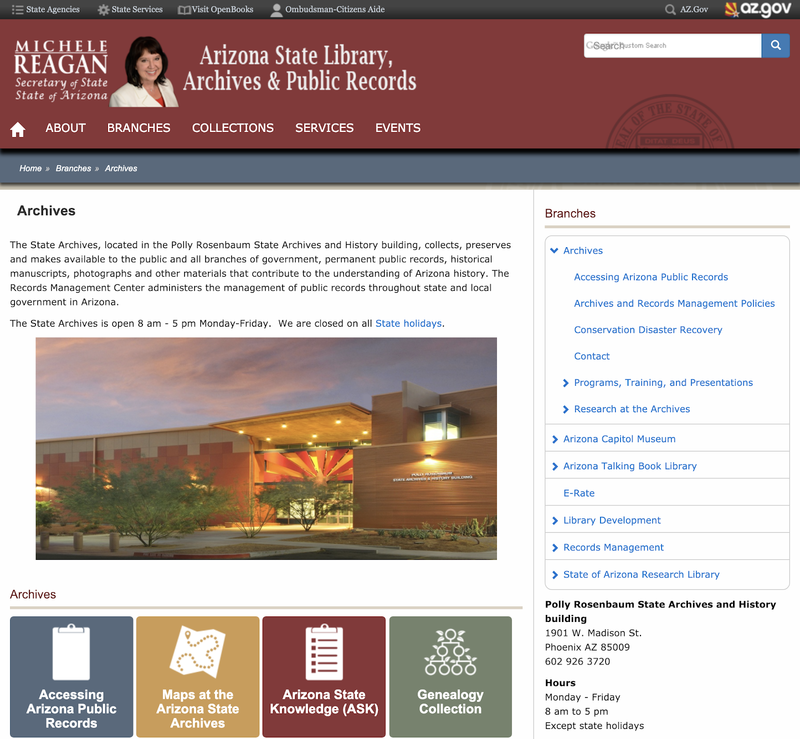 For many years, the State of Arizona had a "Genealogy" library and reading room located in the State Capitol Building. Because of a lack of space, this collection was moved into storage. Ultimately, some of the items were digitized and ended up on FamilySearch.org but most of the collection was transferred to the new Arizona State Library, Archives and Public Records building. Here are some specific items in their collections that are valuable to genealogists. Assessment Rolls containing lists of taxable persons and their property. Great Registers containing personal information required of those who registered to vote. Records from the Territorial Prison. Superior Court records including marriage licenses, wills, probate cases, and civil and criminal cases. 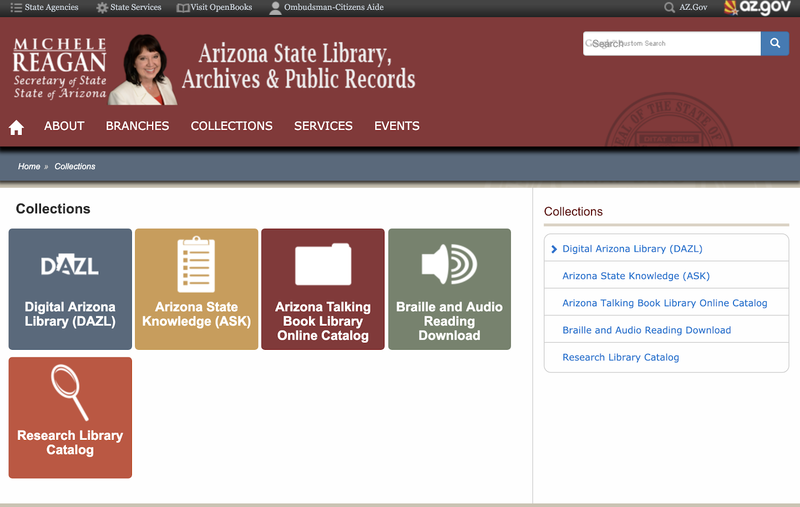 In addition, the Arizona State Library, Archives and Public Records has several online record collections and catalogs. Arizona should be an example to genealogical researchers of the need to identify all of the important archival locations within a state. In my case, for example, I visited the local city museum of the tiny Arizona town where some of my ancestors lived and immediately saw a photograph of my Great-grandfather standing in front of his blacksmith shop. If you do a search by county in Arizona, you will find that every county has either a historical society, museum or some kind of library. By the way, there are only 15 counties in Arizona. Also, Maricopa County, Arizona has a larger population than the entire State of Utah. 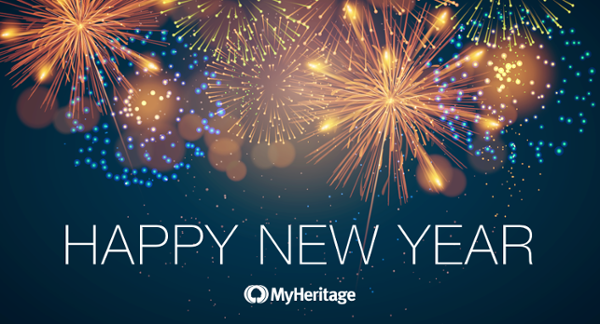 If 2019 is anything like 2018, we can expect some more great developments from MyHeritage.com. The website ended up with more than 9.4 billion historical records and that was just the start. 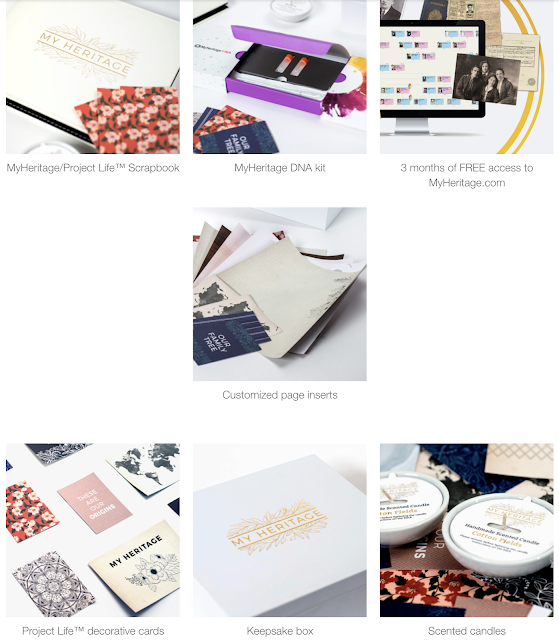 One of the many highlights of the year was the first annual MyHeritage LIVE Conference. 2018's Conference was held in Oslo, Norway. I was still working digitizing records at the Maryland State Archives and could not attend. But there is always 2019. If you’ve done a DNA test before on another service, uploading your DNA data to MyHeritage can help you break down genealogical brick walls and uncover new relatives. Genetic genealogists call this “fishing in another pond” for DNA Matches, to benefit from the opportunity to be matched with the huge base of customers who have tested their DNA exclusively on MyHeritage. As we announced previously, starting today, December 16, 2018, users can upload their raw DNA data from other testing services for free, and they will still receive all DNA Matches for free, but unlocking extra features for uploaded DNA data will cost an extra fee. If you have already uploaded your raw DNA data to MyHeritage from another testing service prior to December 16, 2018, you are grandfathered in and will continue to enjoy access to all of the extra DNA features for free. Even though I have mentioned it before, if you want to begin to understand MyHeritage's direction and why they are driven to excellence, you should listen to the keynote address from the MyHeritage LIVE Conference given by Gilad Japhet. You can still watch the Keynote on Legacy Family Tree Webinars. Here is the link. To get an overview of where MyHeritage is heading, see the following video. Finding Genealogically Relevant Ebooks Online? 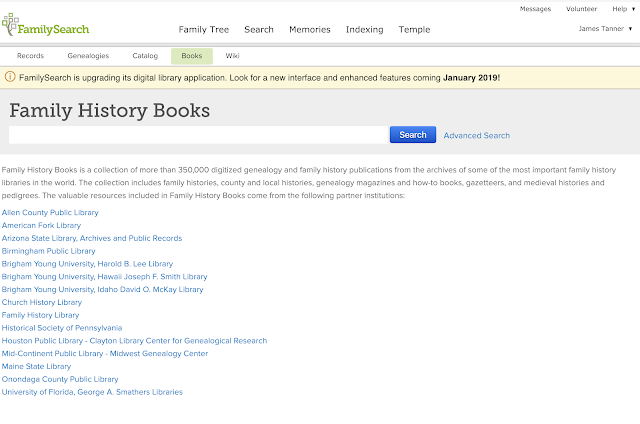 Among the millions and millions of online ebooks, there are a sizable number of books and other publications that are both specifically and generally valuable aids to genealogical research. As I have mentioned in past posts, one of the things I find most disturbing about working in libraries with large genealogical book collections is that the patrons seldom know about, search, or even look at the books. I have been asked questions by patrons that could be answered immediately by walking over and taking a book off the shelf. Now, the same thing is happening with online research. Books are almost uniformly ignored. The FamilySearch.org website is a good example of this problem. Of course, the website has millions upon millions (billions) of digitized records and all of those records are searchable in the FamilySearch.org Catalog. However, those records include, at the time of the writing of this post, 372,477 digitized books. 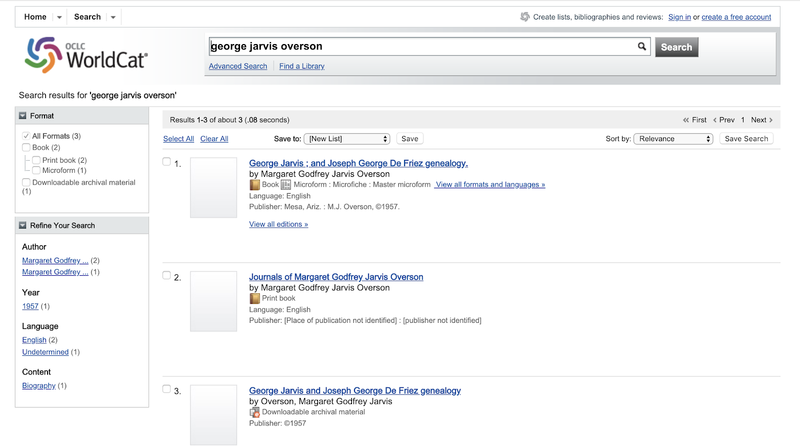 Here is the issue: none of those books show up in the Historical Record Collections searches. 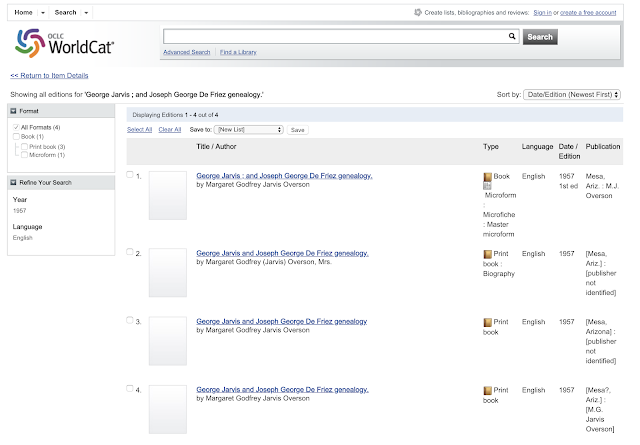 The only way to access the information in the books is through a search directly in the "Books" section of the website. 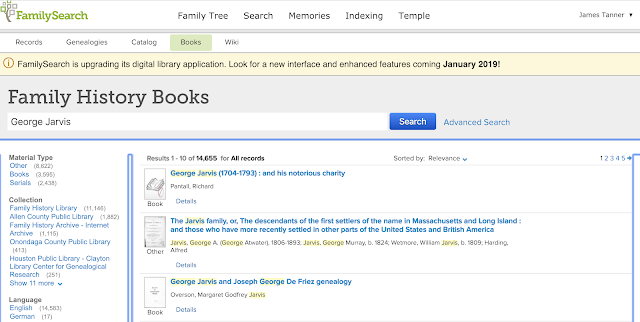 Granted, currently, there is a notice posted on the FamilySearch.org Books section that says that there will be a new interface and enhanced features in January 2019, but for years these books have been vastly underused. 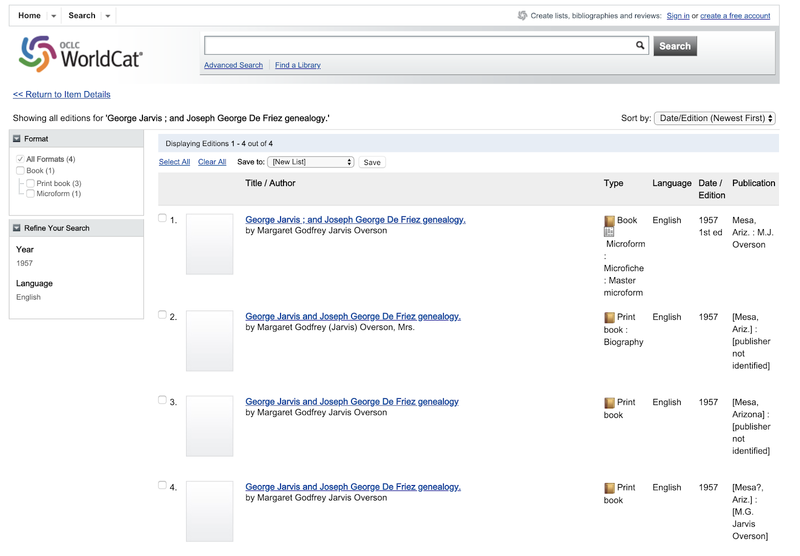 Interestingly, the books that are available are searchable word by word. Let me give you all an example of how this works (or doesn't work). Overson, Margaret Godfrey Jarvis. George Jarvis and Joseph George De Friez Genealogy. [Mesa?, Ariz.]: [M.G. Jarvis Overson], 1957. Now, the first challenge is learning about the existence of such a book. This book has photos, stories, and genealogical information for thousands of individuals and families. Albeit, some of the information is not completely accurate or complete, but the book is a marvelous starting point for anyone investigating all these two families' ancestors and descendants. Now, how would I find this book if I did not already have a physical copy given to me by my father? I also have the copyright to this book and I had the book digitized and included in the FamilySearch.org Books Collection. 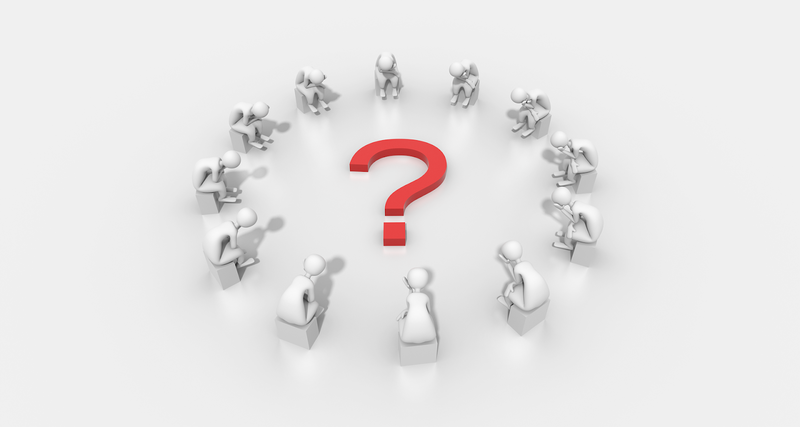 That is the real question about doing online genealogical research. But there is a larger question: how many more books are there that have information about these families? First off, I have to realize that such a book could exist. Next, I need to know how to go about using library catalogs to find books (I am going to use the term books to include all sorts of published material including serials and manuscripts). There are a lot of entry points on the internet to start such a search. Since I have already mentioned the FamilySearch.org website, let's do a search in the Books section. 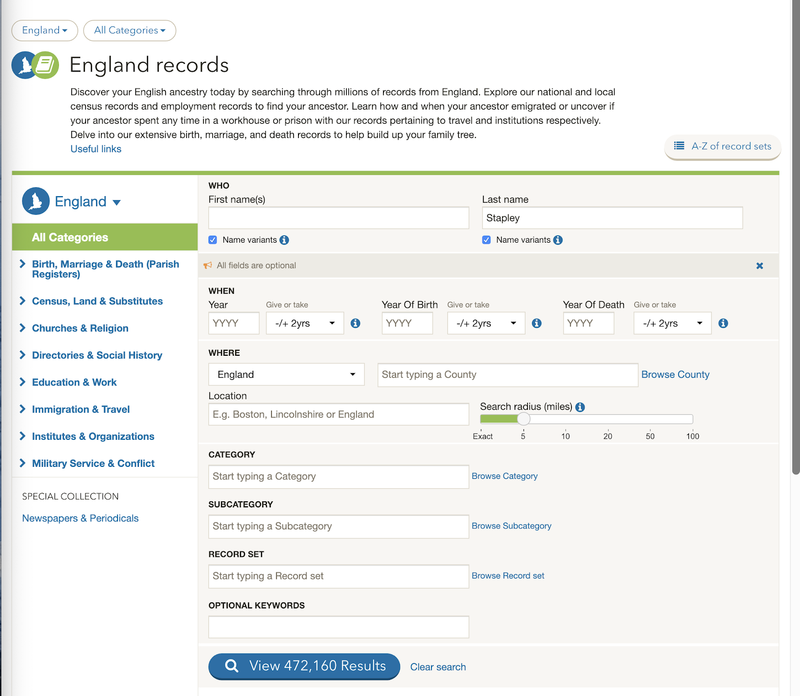 What if you don't know how to use the FamilySearch.org catalog or other resources? Then you need to learn. The best available learning tool is The Family History Guide. 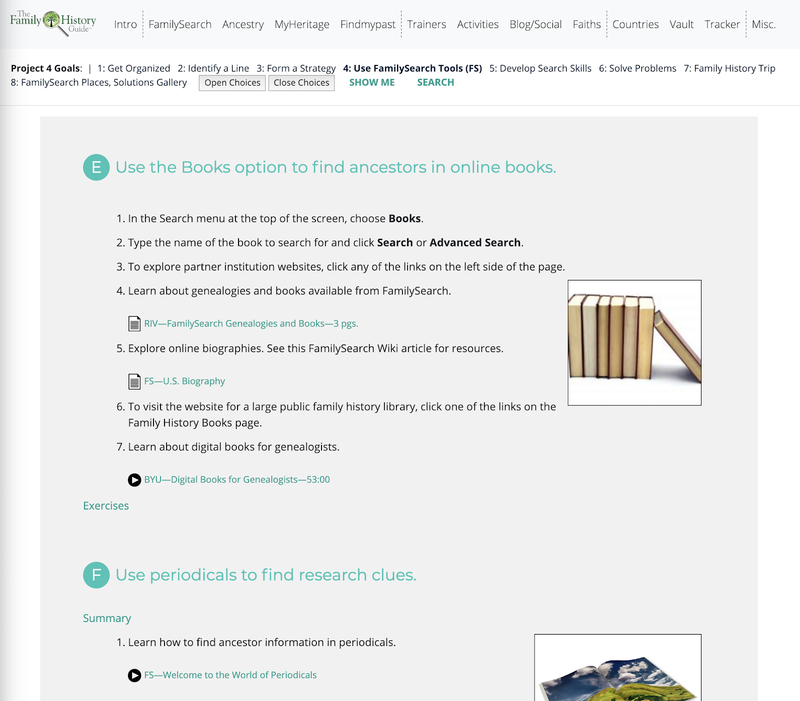 Here is the section of that website that talks about searching for information in books on FamilySearch.org. If you are not familiar with library catalogs and have spent little or no time in a library, then you are definitely library challenged and need to remediate before proceeding further. I suggest going to your local public library or university library and start asking questions. In almost all cases, the library staff and reference librarians will gladly teach you what you need to know. Now to FamilySearch.org. If I go to the Books section, I will see that there is a search function. Hmm. I get 15,290 responses for books and records that mention or have information about the Jarvis family. Good Luck? Maybe. It depends on whether or not you know how to look for a more specific entry. I can't really explain that process, it is something you have to learn by doing thousands of searches. But I would first change my search to look for George Jarvis. Here are the new results. Not much more help but there is one interesting entry the fourth one down on the search results. Guess what? My book is the second one listed. Could I have found a copy of the book some other way? Obviously yes. I could have started my search using WorldCat.org. WorldCat.org is the largest online catalog of books and other materials from thousands of libraries around the world. Here is my search in WorldCat.org. Since I now know the name of the book I can use the name of the book as a search term or at least include the surname of the author. There are two entries for the same book. If I click on an entry, WorldCat.org will show me a list of libraries that have copies of the book and may also show whether or not an ebook is available. I may have to click on each of the entries because the book was cataloged by more than one library. Because I have entered my Zip code, I see a list of libraries organized by their proximity to me. I can also view all the editions and formats of the book. Well, now I have more information than I can possibly handle at this point and I need to actually find the book and read it and incorporate the information into my own research. 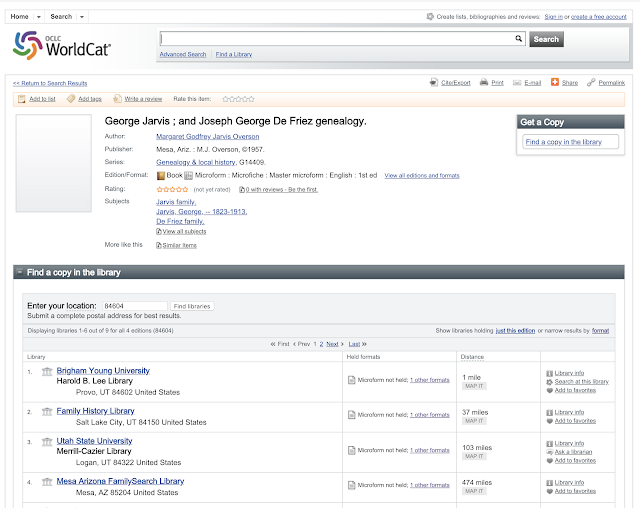 By the way, WorldCat.org has a direct link to the ebook on the FamilySearch.org website. 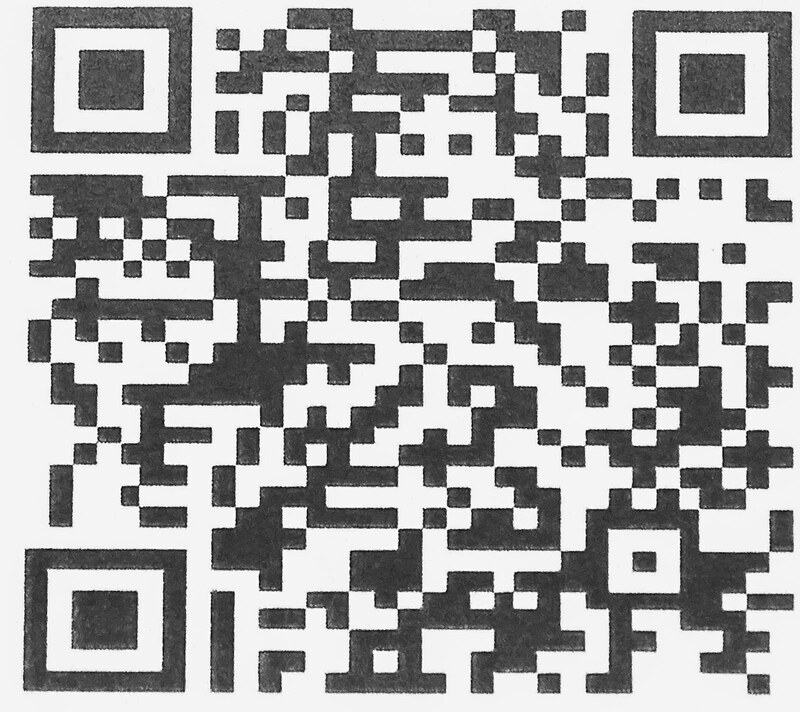 See if you can figure out how to find that link yourself. 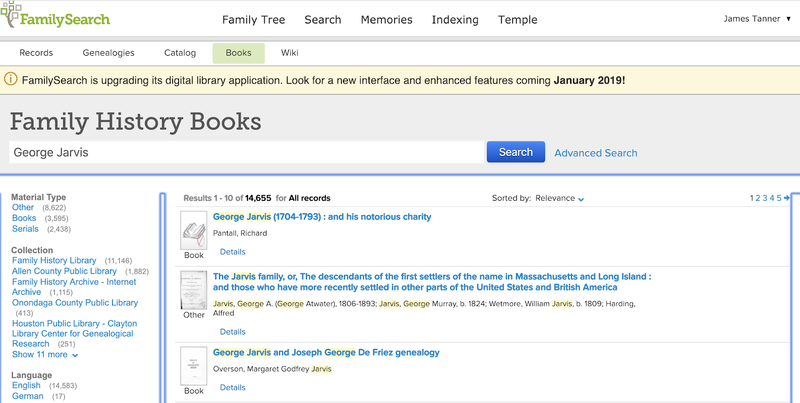 There are probably hundreds of additional ways to begin your search for relevant genealogical books, but only one more example. What if I just start doing a Google search for the Jarvis book? Well, now I will find more than could be believed. If you try this with some of your own family names you might or might not find information. But you will never know until you start looking. The Western European concept of property ownership as inherited by the United States of America is a very technical and complex subject. The folklore associated with ownership is even more complex. To start out, for example, you may have heard a saying that "possession is 9/10th of the law." Unfortunately, this commonly quoted concept is almost entirely false. Genealogists, because they work with books, documents, and records, get involved in a number of issues involving property ownership of one kind or another. Focusing on the United States, the initial fundamental issue that needs to be understood is that no property rights, either for real property (land) or personal property (everything else) are absolute. Because we all live in the United States, we are all subject to the ultimate ownership rights vested in the Federal, State, and local governments. How are governmental property rights absolute? Because governments have the right to tax property and can levy against both real and personal property to assure payment of those taxes. Simply put, if you don't pay your taxes, you can lose your property to the government entities. In addition, the United States Constitution has created other government administrated property rights that are superior to any other claims of ownership. 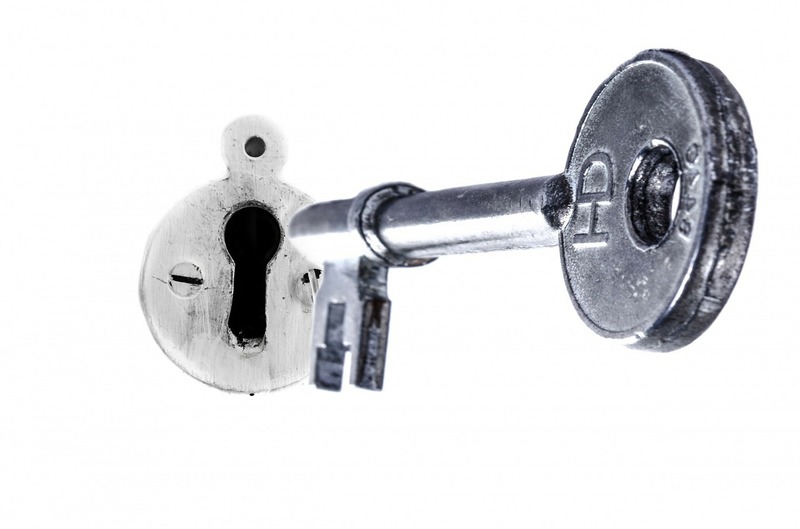 The most common of these established property rights that affect genealogists are those dealing with rights to intellectual property through the complex, archaic, and poorly understood laws of copyright, trademark, and patents. As genealogists, there are a number of important laws from the 18th Century that still govern how we conduct our lives and our business interests but the laws of copyright affect our genealogical research lives more directly than some of the other residual laws. [The Congress shall have power] “To promote the progress of science and useful arts, by securing for limited times to authors and inventors the exclusive right to their respective writings and discoveries. Subsequent to the enactment of the U.S. Constitution, the Copyright Law has grown into a strangling jungle of statutory provisions from the United States Legislature and case law imposed by the Federal Court system. The statutory law is also modified and augmented by Title 17 of the United States Code. Here is a short summary of the existing Copyright law (minus the Federal Court decisions) from the Copyright.gov website of the U.S. Copyright Office which is under the administration of its parent agency, The Library of Congress. The Copyright Office administers the national copyright system and provides advice on copyright law to Congress, federal agencies, the courts, and the public. This publication contains the text of title 17 of the United States Code, including all amendments enacted by Congress through June 30, 2016. It includes the Copyright Act of 1976 and all subsequent amendments to copyright law; the Semiconductor Chip Protection Act of 1984, as amended; and the Vessel Hull Design Protection Act, as amended. The Copyright Office is responsible for registering intellectual property claims under all three. The United States copyright law is contained in chapters 1 through 8 and 10 through 12 of title 17 of the United States Code. The Copyright Act of 1976, which provides the basic framework for the current copyright law, was enacted on October 19, 1976, as Pub. L. No. 94-553, 90 Stat. 2541. The 1976 Act was a comprehensive revision of the copyright law in title 17. Listed below in chronological order of their enactment are the Copyright Act of 1976 and subsequent amendments to title 17. Chapters 9 and 13 of title 17 contain two types of design protection that are independent of copyright protection. Chapter 9 of title 17 is the Semiconductor Chip Protection Act of 1984 (SCPA), as amended. The SCPA was enacted as title III of Pub. L. No. 98-620, 98 Stat. 3335, 3347, on November 8, 1984. Chapter 13 of title 17 is the Vessel Hull Design Protection Act (VHDPA), as amended. The VHDPA was enacted on October 28, 1998, as title V of the Digital Millennium Copyright Act (DMCA), Pub. L. No. 105-304, 112 Stat. 2860, 2905. Subsequent amendments to the title 17 provisions for SCPA and the VHDPA are also included in the list below, in chronological order of their enactment. Now let's get down to some specific examples of how copyright law can affect genealogists and of course everyone else in the United States. Let me do this by means of some hypothetical situations. Let's suppose that as a genealogist you learn about a book written by one of your relatives about your family. You try to contact your relative but find out that she is dead. You try and find a copy of the book and are surprised to learn that she only printed a dozen or so copies and all of those were given to her children and immediate family members. After a great deal of effort, you finally locate a copy of the book that you can borrow from one of the relatives who received the book from the author. Can you make a copy of the entire book? Who could give you permission to make such a copy, i.e. who owns the copyright to the book if there is one? 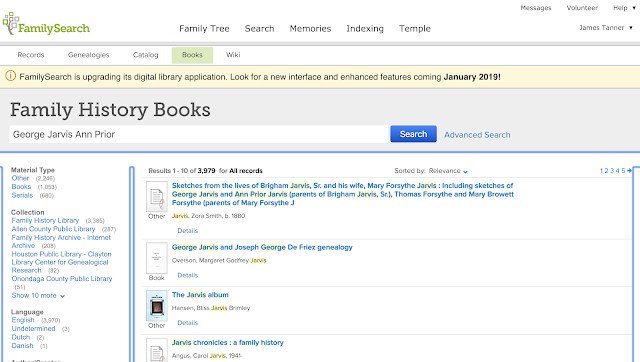 Could you upload a copy of the book online on one of the major genealogical websites so others can have access to the book? Now let's look at some of the laws regarding copyright. First of all, when was the book published? Hmm. You find out the book was published in 1963. Is the book still covered by U.S. Copyright Law? We can answer some of these questions by referring to the Cornell University Copyright Information Center publication entitled, "Copyright Term and the Public Domain in the United States." That publication gives us a number of possible options depending on whether or not the book (publication or work) contained a notice of copyright. So, you go back to the copy of the book and look for a copyright notice. Now we have to suppose there are two possibilities, that the book either has such a notice or it does not. For a book (or other publication or work) published from 1924 to 1977 if there is no copyright notice, then there is no claim to the copyright and the book is in the public domain because of failure to comply with the then existing formalities. Now what? Well, even if the book has no copyright claim or mark or whatever, if the person registered a copyright claim within five years of the date of publication, then the copyright is in existence for 70 years after the death of the author. There is another qualification in the event the book is a work of corporate authorship, but I will leave that issue to another post if I get around to it. How do you determine whether or not the author ever registered the copyright? Now you step off into the morass of copyright law. To start, you can begin your search by looking in the Catalog of the Library of Congress to see if they have the required copies of the book. Copyright registration in the time period in question involved depositing with the Copyright Office (Library of Congress) two copies of the original publication and filling out the application. But how can you be sure the book is not covered by copyright? The practical answer to this question is you cannot. Theoretically, you could come to a reasonable conclusion that the book either was or was not covered by a claim of copyright, but even if you were to get to this point, you would still have to deal with whoever ended up with the potential copyright ownership, i.e. which of the heirs of deceased author inherited the copyright. Unless the author made a specific bequest in her will concerning the ownership of the copyright, the ownership rights would probably pass according to the law of the state where the deceased author died but the issue of the legal jurisdiction of the copyright ownership might also be difficult to resolve. Let's suppose that the relative with the book does not want his or her copy and gives it to you. Do you now have the right to copy or republish the book? Unfortunately no. This is where the possession interest is falsely interpreted. Your possession of a copyrighted book or other publications is extremely limited. This also applies to any such book or publication that you purchase. So, even if you purchased a copy of the book from one of your relatives, purchasing a book does not confer any rights that are reserved by virtue of the Copyright Laws. It is only if the book is found to be in the public domain that you could copy or republish the book with impunity. But what if you just want to use the information in the book? Facts are not subject to copyright, but that still does not give you the right to any portion of the book that is not factual. This issue leads us to the futher doctrine of fair use (usually the Doctrine of Fair Use). The only way I could explain the Doctrine of Fair Use would be to write a book-length post on the subject and that still would not be enough. Issues of fair use are decided one by one by the courts. So even if you are reading this and looking across the room at your bookcase full of books, you have to realize that your "ownership " of those books is not absolute. Any book, publication, or work may be subject to copyright claims. 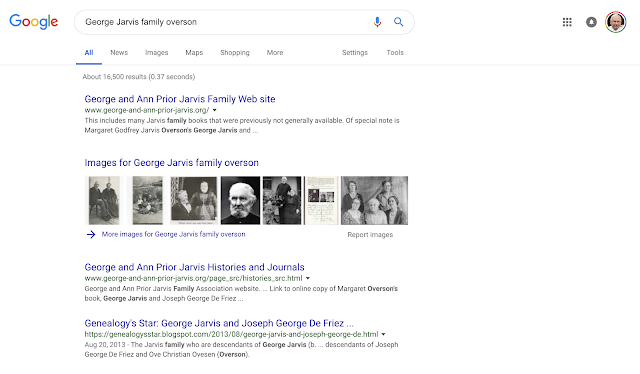 Can you still function as a genealogist and avoid copyright issues? Yes, sort of. I do know of a few instances where genealogists have gotten into battles over copyright claims. The best practice is to become aware of the basic copyright laws and be circumspect in copying anything that is arguably subject to a copyright claim. For an extensive discussion of fair use see Columbia University Libraries, Copyright Advisory Services, for an in-depth discussion of the issues involved. 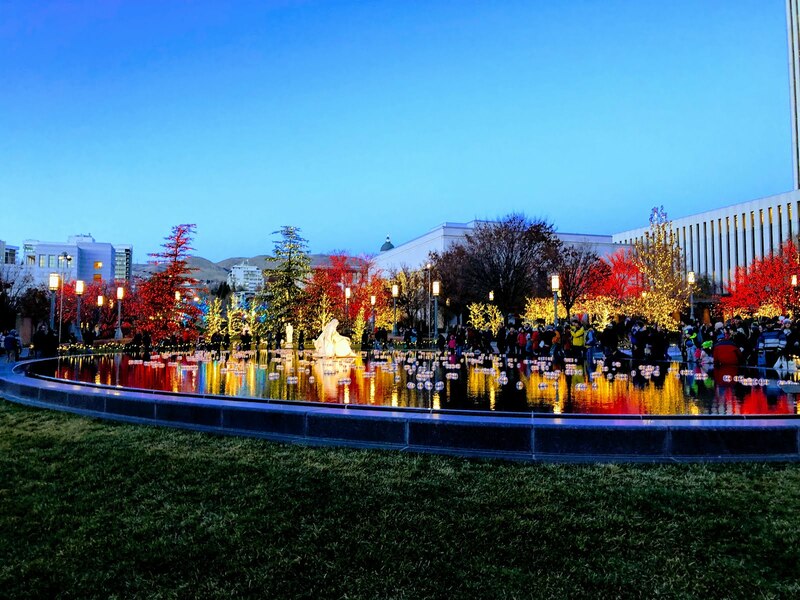 This is the reflection pool at Temple Square in Salt Lake City, Utah. We took a short trip to see the Christmas lights and walk around in the cold evening air. This year we are back home in Provo, Utah. For many years, we enjoyed the Christmas lights at the Mesa, Arizona Temple of The Church of Jesus Christ of Latter-day Saints, but this year the Mesa Temple is under renovation. Here is a photo of what the Temple grounds looked like a short time ago. It will be a year or two before the landscaping is back and the renovation is completed. Meanwhile, we are enjoying our trips to see the lights in Salt Lake City, Utah. Here is another photo of the Salt Lake Temple Lights on Temple Square. We hope you all have an enjoyable holiday season and remember to Light the World. 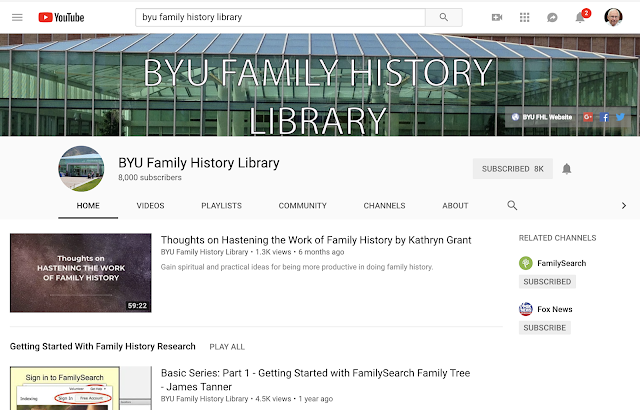 With 8000 subscribers and over a half a million views, the Brigham Young University Family History Library YouTube Channel is alive and well. Thanks to all those who have viewed our videos over the past few years. Eleven new videos have been uploaded in the last month. You can see a list of the videos on the Brigham Young University Family History Library Webinars page with links to all the videos in addition to those on YouTube. By viewing the videos from the BYU website, you can avoid having them blocked by anyplace YouTube is not available, particularly in chapels of The Church of Jesus Christ of Latter-day Saints. 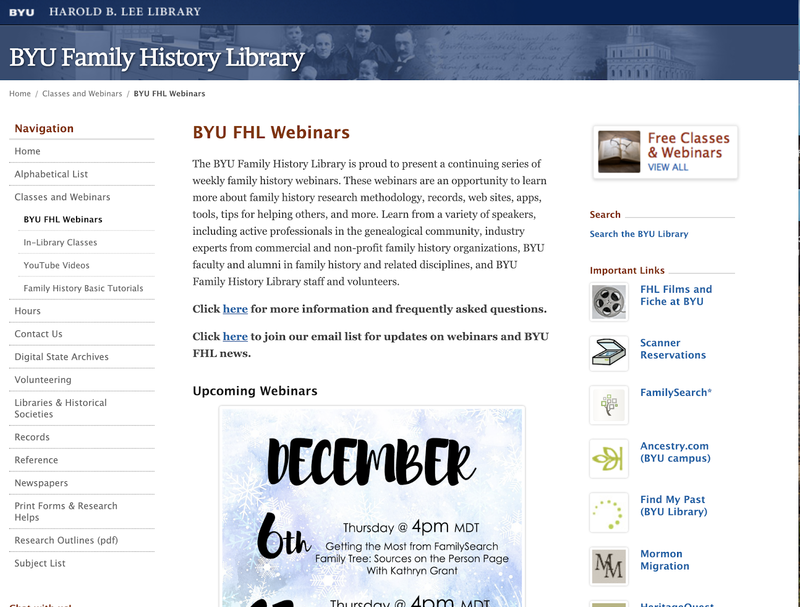 My wife and I are back volunteering at the BYU Family History Library and teaching classes. I will be back doing webinars beginning in January 2019. We have a busy webinar series planned with expansion into new presenters and topics. If you have any topics you would like us to cover, let us know with feedback on the webinars or by commenting on my blogs. I have actually had questions about research in Alaska. My former home state of Arizona was the 48th state and has some of the same genealogical challenges as Alaska. Both have sizable Native American populations and both have populations that are, for the most part, born somewhere else. Alaska does have one of the most recent, if not the most recently established state archives in the United States. Here is a quote from the website. The Alaska State Archives was established in 1970 and opened its doors to the public in 1972. The State Archives preserves permanently valuable government records that document Alaska's history and makes these records available to its clients in a secure, professional and responsible manner. The State Archives' serves both the citizens of Alaska and state agencies that create and administer public records. The Records & Information Management Service (RIMS) consults with state agencies to create records retention and disposition schedules for both permanent and temporary records. Staff administer two records center storage and service contracts for over 130,000 cubic feet of non-current state records. Governments do produce a lot of records, but perhaps a little perspective is in order. One smaller Federal agency, the Records of the National War Relations Board (World War I), has 173,676 cubic feet of records and there are hundreds, if not thousands, of agencies that have more records than this one example some into the millions of cubic feet of records. I haven't given this example to belittle the records in Alaska, but to show that time and population really does increase the number of records. The current population of Alaska is about 739,795 (2017) about the population of Seattle, Washington, the 18th largest city in the United States. Under AS 40.21.030 the Alaska State Archives preserves nearly 24,000 cubic feet of government records. The bulk of the State Archives’ holdings are State government records (1959-present) that document the work of State agencies (Office of the Governor, Department of Fish & Game, Department of Natural Resources, etc. ), as well as the Alaska State Legislature. 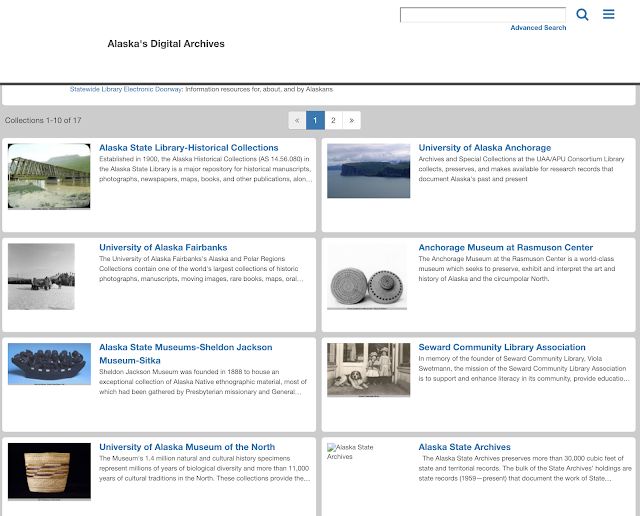 The State Archives also holds select District (1884-1912) and Territorial (1912-1959) government records, with the largest pre-1959 holdings consisting of District Court records (includes land records) and the papers of Alaska’s governors. 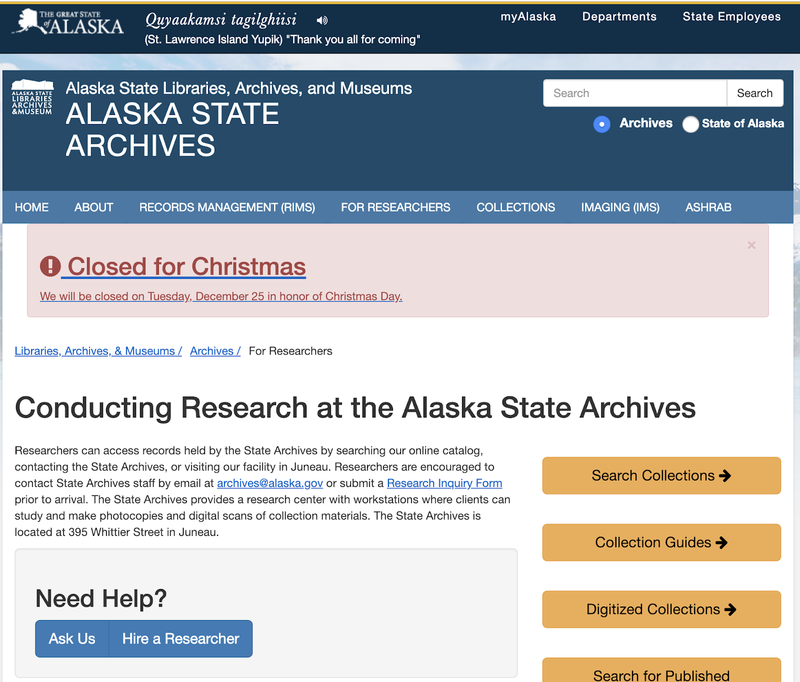 In this case, the Alaska State Archives has an advantage over other states. They use the most up-to-date methods for storing and making their records available. 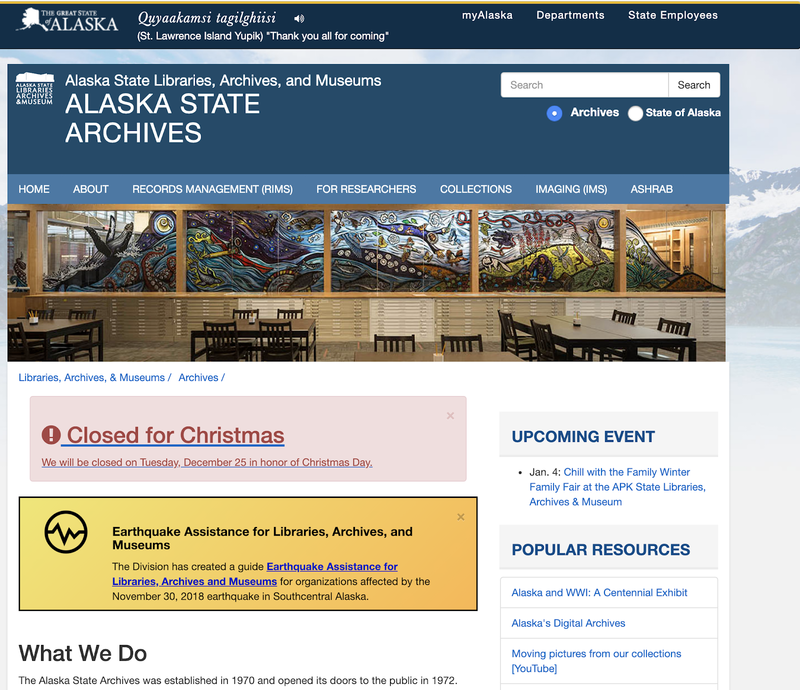 The Alaska Digital Archives has some of the most important state records. Take time to become familiar with each of our state's archives. With our highly mobile culture in the United States, you could have relatives, like I do, almost everywhere. Quoting from a recent email announcement, MyHeritage.com has "partnered with Project Life™ by Becky Higgins to bring you the perfect way to preserve and share those memories with the Family Discovery Kit. 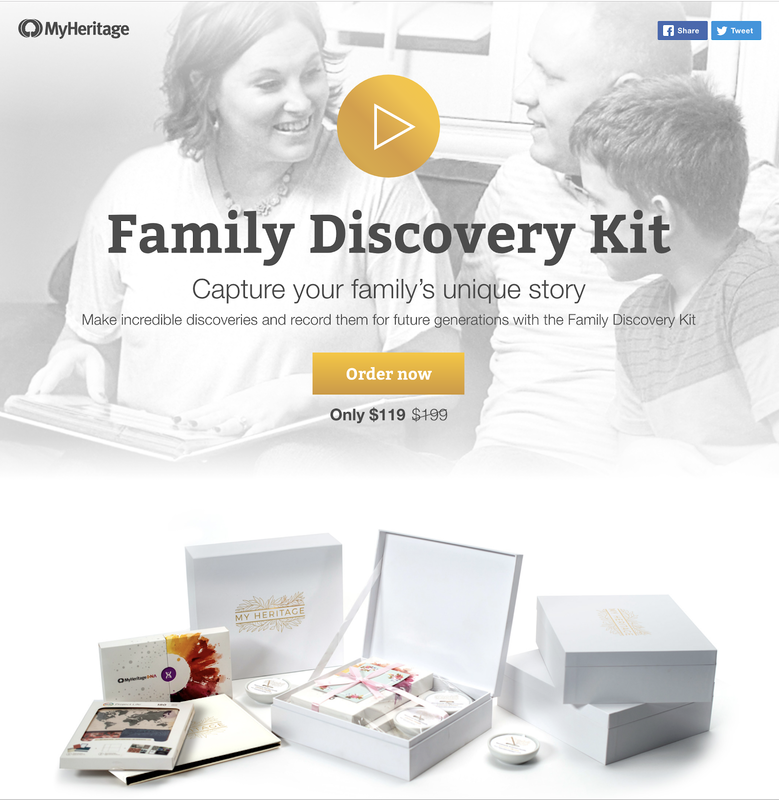 With this unique gift set, you’ll make incredible discoveries about your family and create a beautiful album to cherish your family story for generations to come." Here is a screenshot showing the contents of the Kit. Click on this link to order your own kit or one for a gift. I'm Shocked!!!! My Life is a Lie!!! 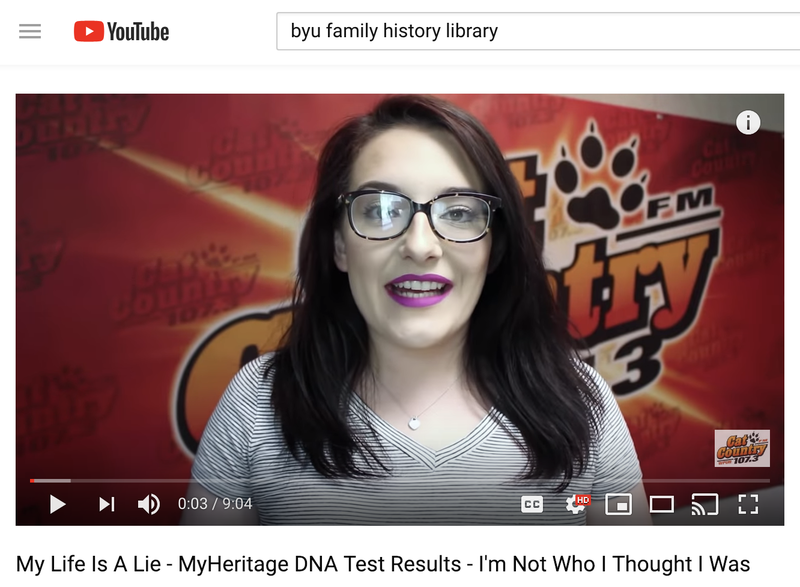 Apparently, the genealogical community has finally made it into the supermarket tabloid scene with YouTube videos about people's reactions to their DNA tests from MyHeritage.com, Ancestry.com, and other large online DNA testing websites. It seems to me that the people who are shocked by their DNA results don't even know what to do about their shocking disclosure. I chose the above video at random from a long list of others with similar topics and titles. I guess I need to start out by saying that the results from my own MyHeritage.com DNA test are entirely consistent with my genealogical research. In the case of the above video, the "shocking" results simply did not agree with family tradition passed down from an aunt. Here are a few other examples of recent online titles. I have omitted links because I don't want to encourage this type of reaction. These and similar types of articles are not just from individuals, many are from prominent news outlets and even respected scientific magazines. Almost all of these articles focus on the limitations of genealogical DNA testing and most incorporate issues from testing done years ago such as the issues with DNA testing done by 23andMe.com back in 2013. Those people who take a DNA test who have never made any inquiries into their family lines may indeed be surprised by the results. From my experience with both Ancestry.com and MyHeritage.com, I see a lot of matches with people who have no family trees in either program. Without a family tree, it is only possible to estimate the degree of relationship but identifying the common ancestor is very difficult. People with extensive family trees will likely see some variations between tests and may also see connections to areas of the world that they have not found evident in their own genealogical research. 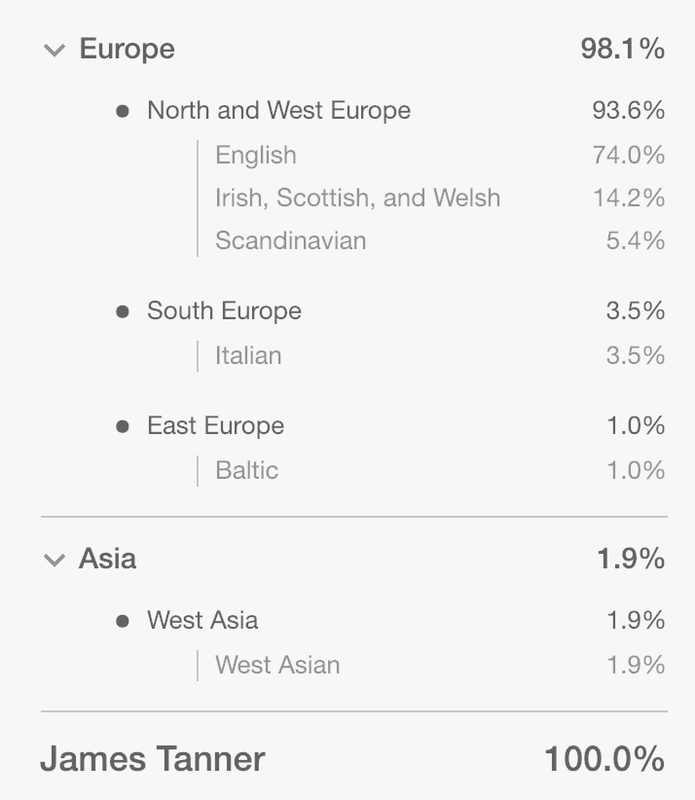 If I examine my own Ethnicity Estimate from MyHeritage.com for example, I find the following percentages. None of my close family members have yet to take a MyHeritage.com DNA test. But I do have 11 matches to my Extended Family. As I mentioned above, even with these people categorized as Extended Family, I find that some do not have family trees on the website and my genealogical relationship cannot be determined. I do recognize some of the names and so I do know our common ancestor but that is due solely to my own research. These relationships are not at all controversial and are well documented so there are certainly no surprises. In fact, they are all from my Tanner line. The number of identified Distant Relatives is so large that the information may be valuable but it is daunting to think about trying to identify common ancestors for such a large number of people. If you were one of those people who had no family tree and had spent little or no effort to determine the identity of their relatives, you might be surprised to learn that you had so many relatives. 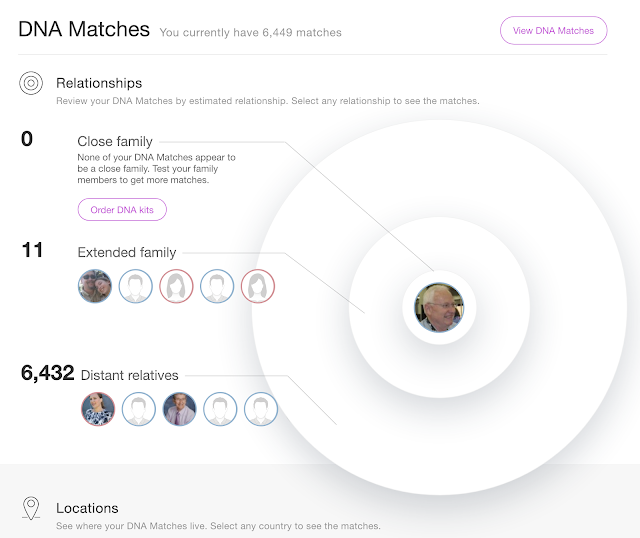 What the articles that criticize DNA testing per se usually fail to address is that the close family connections that are identified have a very high degree of accuracy. In addition, the general ethnicity estimates are evolving as the number of people in the data pool increases. Yes, if you take a DNA test on a whim and without any particular prior knowledge of your family, the results may be surprising, but with some effort and by using the resources of the family tree websites, you can almost always discover that tests have found some of your relatives. At that level, what else are the tests supposed to do? It is not unusual for a genealogical researcher to find several different historical documents with different dates for the same event, such as a birth date or death date. Without spending a lot of time hand-wringing, you should remember Rule Two of the Rules of Genealogy: Absence of an obituary or death record does not mean the person is still alive. A corollary to this Rule is that multiple differing records of the same event do not change the actual date of the event. When confronted with this situation, you may have to simply assume that the event occurred sometime between the first and last date recorded. However, close analysis of each of the records may show which one, if any, is the most reliable. For example, a death record may contain a birth date calculated from the assumed age at death. Another common example is the fact that birth dates in census records may also be calculated from the age given on the date of the census and are commonly off one year. Calculated dates are "acceptable" as long as they are clearly indicated as calculated. As I point out in the expanded version of Rule Two, referenced above, becoming fixated on finding a record for an exact date is counterproductive. In fact, historical events such as the calendar change from the Julian Calendar to the Gregorian Calendar created a patchwork of dates depending on when the change went into effect in a particular country. Dates that were recorded from memory are particularly susceptible to inaccuracy. Returning to the issue of census records, most of these records rely on information supplied by the individual or individuals who are subject to the census. It is common for one person to supply information about other family members and no attempt is made, in almost all cases, to verify the information supplied. It is not unusual for individuals to lie about dates. For example, it is not uncommon for those enlisting in one or the other of the military services to misrepresent their age. Also, the ages given when applying for a marriage license are also suspect and older people may or may not provide an enhanced date of birth. For example, if we find the date of the birth of a child that seems to indicate that the mother was too young or old to have children, it is not a good idea to immediately remove the child from the family, because the date of birth or age of the mother might be wrong. Estimated dates may be useful for research purposes but may be misleading if left as recorded dates in family records. Genealogists have used "ballpark" dates such as estimating the age of the mother from the birth of the first child or estimating a marriage age based on the local custom. The further back in history we go, the more likely it is that any particular date may inaccurate. Unfortunately, once we get really far back in time, some of the dates become so widely used and believed that questioning the date can be controversial. This may also occur with more recent dates when family tradition has established a certain date as a fact and later research shows that the date is unreliable. Since both names and dates can be subject to inexactness, genealogists need to rely on the location of events as the one non-negotiable constant. It is evident, that many of the places recorded in family histories are imprecise but of the three major issues of name, date, or place, the most important is the place. At least one place of at least one event in a person's life must be identified or there is always a major possiblity of having choosen the wrong person. After many years of intense involvement in genealogical research and its associated activities and we come to the end of another year (2018), it is time to take a step back and review my life as a genealogist. 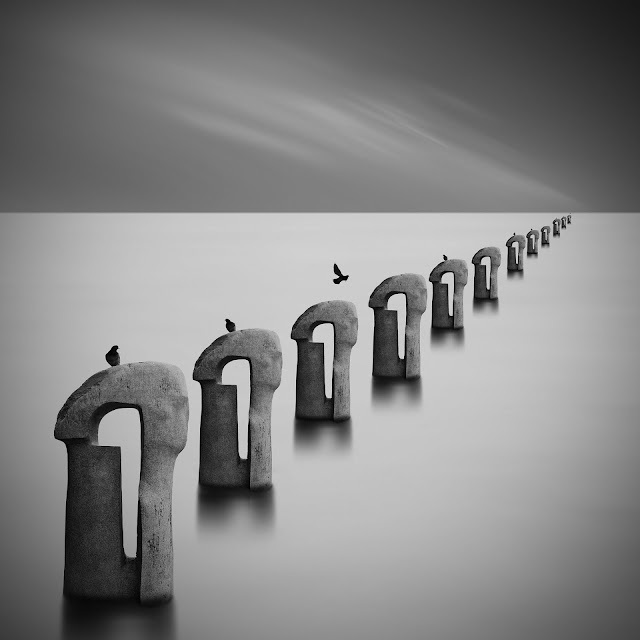 If I had the opportunity, what would I have done differently? It is fundamental that I know a great deal more about doing research and organizing my information than I did 30+ years ago and it is also a given that technology has changed dramatically. If I had access to today's technology back in 1982 when it all started, many of the problems and challenges I have today would have been long ago resolved. That would be the case for any of us, but in this case, what I would like to do is to discuss how I would start differently now than I did back then. The very first thing that comes to my mind when I speculate that things could have been different is the need for basic education. I had been "practicing" genealogy for years before I found the books and took the classes necessary to advance from copy work to real genealogical research. As a pursuit, genealogy is often classified as a "hobby" and given the extremely broad definition of hobbies, it could be classified as such but the fact that genealogical research deals with families puts it into a unique category. I can participate in photography, as an example, as a hobby and no one else needs to know about my interest or what I produce. Genealogy, on the other hand, is intimately entwined with family relationships. Granted, I do not have to share my "genealogical research" with anyone, but what I produce is de facto shared with all my relatives. Anyone else in my family could produce exactly the same corpus of work as I do. So, since when I started, I was lacking in the perspective provided by formal or even informal training in genealogical methodology, I had to make it up as I went along. My initial impulse was to determine "what had been done." This impulse came from my academic background. I spent about fifteen or so years simply copying the work that had been done by others. Part of this activity is necessary for anyone who wishes to start investigating their family history, but even though I spent some time evaluating the information I was gathering, I failed to gather source documents or impose an adequate organization on what I gathered. The results of this effort were that I had a huge amount of information and had incidentally accumulated a huge pile of documentation. Part of the problem in my early days was that I was entirely unaware of the educational resources that were available. This was due primarily to the fact that there was no mechanism for connecting with and benefiting from other genealogical researchers. According to a timeline from Genealogy.com, the first national genealogical conference was held by the National Genealogical Society in 1981 in Atlanta, Georgia about the time I started my genealogical research. There is really no excuse today for anyone to start out on their genealogical journey without some basic training. This is one of the fundamental reasons I have become involved in teaching people over the years. In addition, it is also a motivation for being involved with The Family History Guide (thefhguide.com). If I had had access to such a resource, the entire scope of my genealogical interests would have been tremendously different. Part of the problem of putting this issue into some sort of perspective is the overwhelming influence technology had and continues to have on genealogical research and methodology. My genealogical activities were concurrent with my immersion in computer technology. Although my involvement with computers predated my interest in genealogy, I immediately began using computers and the rudimentary genealogy programs of the day to try and organize and correct the mass of genealogical data my research produced. You could still start doing genealogical research with a pencil and a piece of paper but you can also walk across the United States, but what is the point? For example, today there is a resurgence in the use of "film" cameras. Some of the companies who used to manufacture film has even begun remanufacturing camera film. Although there are adherents who can defend their use of film, it is interesting that the only way I can see the product of their efforts is if they digitized their film photographs and put them online. The same thing happens today in genealogical research, there are those who adhere to the "traditional methods" of doing genealogy but do so by ignoring the benefits of technology. In fact, in many cases, the technology is demonized. So, what would be different about my genealogical journey if I had taken advantage of educational opportunities? Everything. Ironically, many of what I consider to be the best books written about genealogical research were already written in 1982, but I was unaware of them and without the internet, there was no real way for me to find these books. In short, if I had the opportunity to start over, I would learn all I could about genealogical research. I would read every book I could find, I would attend classes, I would use the vast resources of the internet including The Family History Guide, and I would find someone to help me get started. Ultimately, I did all those things. Part of my learning came from taking Individual Study courses from Brigham Young University for five years. These wonderful classes from great genealogists such as Kip Sperry and George Ryskamp, helped me begin to gain some control over the mass of information that seemed endless. Guess what, even after all these years it is still endless. Wars, plagues, and catastrophes play an important part in history and therefore affect every aspect of genealogical research. As genealogists, we ignore these events at the risk of either failing to make progress in our research or losing our way in our ancestral lines. There are few places on the earth that have entirely escaped the effects of one or another of these major events. If you are in the vast majority in the United States, your knowledge of U.S. history is scant and your knowledge of world history is non-existent. Most surveys to determine the extent of the population's knowledge asks questions general historical events relating to civic education, i.e. what knowledge helps citizens participate in a free society. But from a genealogical standpoint, the impact of national events is compounded by very specific local events. Let me give a specific example. Quoting Wikipedia, the "Johnstown Flood (locally, the Great Flood of 1889) occurred on May 31, 1889, after the catastrophic failure of the South Fork Dam on the Little Conemaugh River 14 miles (23 km) upstream of the town of Johnstown, Pennsylvania." 2,208 people died in that catastrophe. Did any of your ancestors or other relatives live in Johnstown, Pennsylvania? You might make a quick review of your pedigree and conclude that the flood had no impact, genealogically, on your family. But the larger question is whether or not any of your ancestors came from Pennsylvania and if so, did any of their descendants live in Johnstown? In addition, the follow-up question is what else happened in Pennsylvania in 1889? What else happened in the United States in 1889? US President Grover Cleveland signed a bill admitting North and South Dakota, Montana and Washington state to the Union. The Eiffel Tower opened in Paris on March 31, 1889. The Canadian Pacific Railway was completed from coast to coast on June 3, 1889. Tijuana, Mexico became a city. It would be interesting is some of the events actually affected your ancestors, but this list could go on indefinitely. Putting your family into the historical context of their time is not just interesting, it is the only way some genealogical mysteries can be resolved. But many of these mysteries lose their mystique once the background history is investigated. How do you start? Motivation may come through frustration, but to avoid the need to go through the frustrating experiences, any genealogical research should start by identifying the salient historical facts about the time when some of your ancestors lived. For example, if any one of your ancestors fought in the U. S. Civil War, then all of the other ancestors and relatives who lived during that time period are candidates for extended research into military records or other records associated with that war. This background research is not time wasted. It is part and parcel of doing genealogical research. Genealogical Standardization: Friend or Foe? Genealogical Standardization is a constant background issue in the larger genealogical community. Controversy over standardization has waxed and waned and my own interest in the topic has also cycled as other considerations have become more urgent. A recent online conversation with an old friend brought this topic again to the forefront. It is probably a good idea to start with some of the basic concepts and where those concepts become controversial and counterproductive. It is also important to mention, right up front, that there is no consensus among genealogists on any aspect of the issues involved. 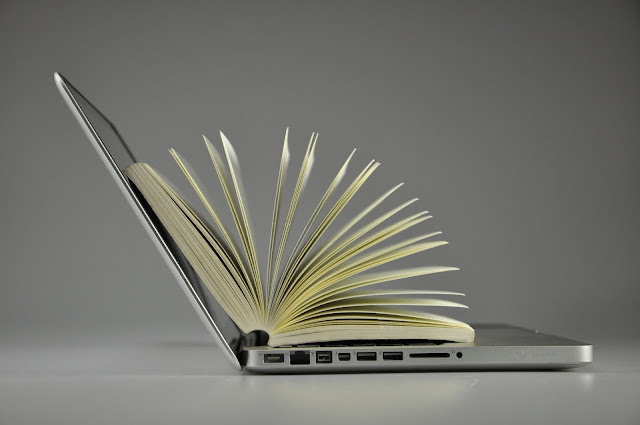 Standardization involves many levels of concern from the level of uniform data entry to concerns about the methods and standards for exchanging and preserving genealogical data. In this post, I am going to focus on the issue of uniform data entry. The problem with using the designation "United States" is the fact that there are other countries that incorporate the term "united states" into their official name. If we are going to "standardize" as name, why not use the official name of the place rather than a mere convention? This particular issue may seem trivial but there are actually TWO countries in North America with "United States" in their name; The United States of America and The United States of Mexico (Los Estados Unidos Mexicanos). Hmm. This brings up another standardization issue, why do we translate all of the names of the countries into English? If we were to use the strict rule of genealogy and use the name of the place at the time an event occurred, then wouldn't we need to acknowledge the language changes of place names also? So is FamilySearch.org correct by choosing "United States" while Ancestry.com is wrong for choosing "USA" or are they both wrong? This is likely a situation where you can choose your own preference unless you are working within the confines of a particular program that has created a "standard" on one or the other of the choices. Another messy example involves the question about how you designate the early European Colonies in America. For example, Massachusetts. What is the current correct name of Massachusetts? Well, it is the Commonwealth of Massachusetts. So why don't the genealogy programs use that as the "Standard?" Good question. This is where we start getting into murky waters. The programmers want consistency but they aren't too much interested in historicity or geographic accuracy. The issue of the exact or official name of a certain locality does not become important to genealogical research until you look at a place that may have had multiple name and boundary changes. It may seem convenient to simply use the common name of the state, i.e. Massachusetts. But what happens as we go back in time? If you attach time periods to these variations you still have the genealogical research issue as to where the records were created and where they ended up being archived or stored. The idea of standardizing this messy sort of history implies that we will give up a strict historical designation in trade for one that is workable and recognized by a particular entity with a particular set of records. What do we do with "standard" designations such as "British Colonial America" or "New England" or "British America?" None of these have a real geographic origin but they all are immediately associated with a particular area even if the association is vague. Meanwhile, the fact that any particular programs standardizes on a certain label has to be, to some extent, arbitrary. This places the burden on the genealogical researcher to discover where pertinent records might be located. Boundary changes can make these designations even more complicated especially in smaller jurisdictional levels such as counties. OK, is there a solution to these issues? Something comprehensive that can apply to every possible iteration and circumstance? Not unless we can get all the genealogists, all the program developers, all the archivists, all the librarians and a lot of other people to all agree. Nobody knows family quite like Emmy award–winning actress Patricia Heaton. Known for her humorous roles as a typical American housewife in big hit television series like Everybody Loves Raymond and The Middle, Patricia has won many prestigious awards and the hearts of television viewers worldwide. Behind the scenes of her career as an actress—and adding some serious fuel for her decades of success—is the fact that she really is a wife and the mother of 4 sons. Patricia has a deep love and appreciation for family, making her a perfect fit for the RootsTech audience. 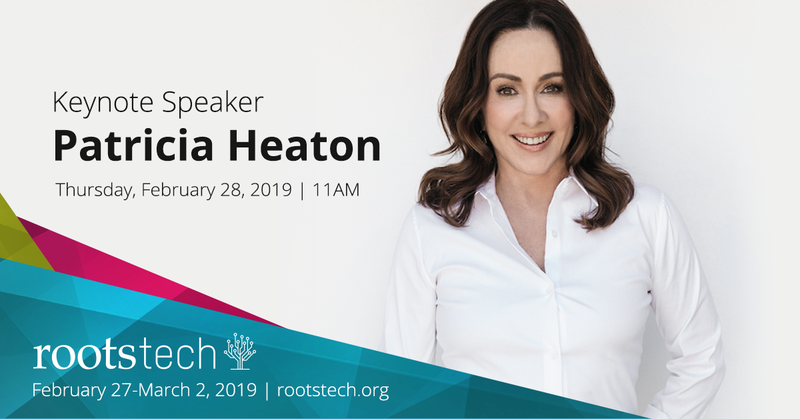 Patricia Heaton will join Jake Shimabukuro, Saroo Brierley, and FamilySearch's own Steve Rockwood as Keynote Speakers. For the full schedule be sure to check the website: RootsTech 2019. The Alabama Department of Archives and History was founded in 1901, becoming the nation's first publicly funded, independent state archives agency. The Archives identifies, preserves, and makes accessible records and artifacts of enduring historical value to the state. Thomas Owen founded the agency and served as its first director. He was succeeded by his wife, Marie Bankhead Owen, who headed the archives for 35 years and was the second woman to lead a state agency. 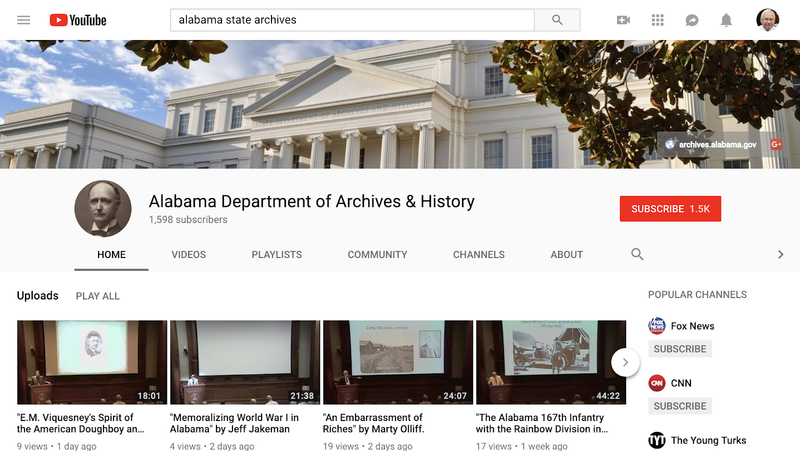 The Alabama Department of Archives and History has an extensive YouTube.com Channel with almost 200 videos. Recently, they posted a video introducing the Archives. Of course, this makes my job of writing about the Archives much easier. The Archives YouTube Channel is part of a larger YouTube collection called "Discovering Alabama." 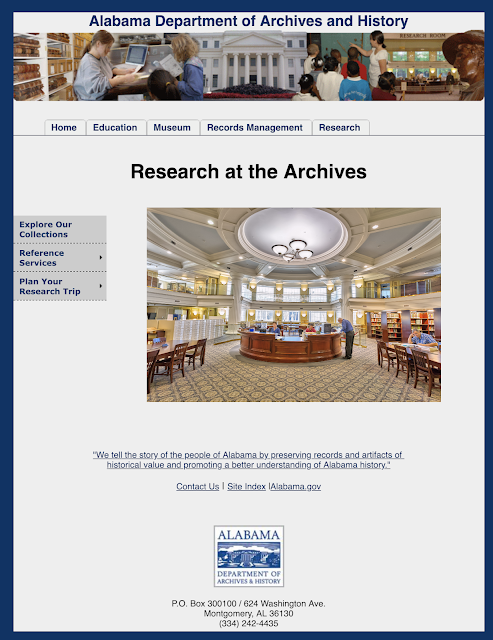 I did, just recently, drive through Alabama on my way from Maryland to Utah, but unfortunately, on this trip, I did not have time to stop and explore the state and the Archives. 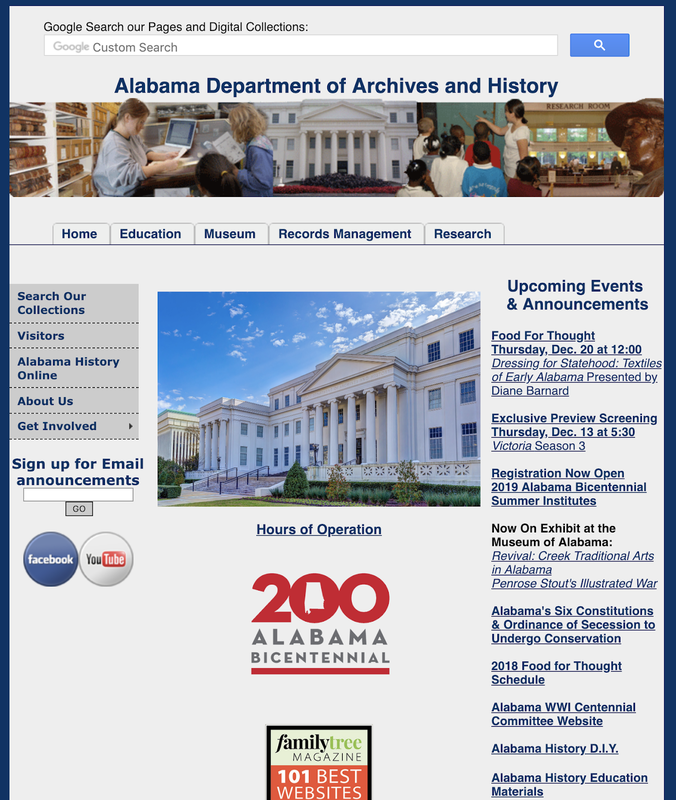 Here is a link to the Alabama Department of Archives and History YouTube Channel. The Southern States have a reputation among genealogists as a more difficult place to do research, but that impression should not be uniformly applied. What this series on state archives is intended to demonstrate is that genealogical research does not stop with a superficial review of online sources, but must also include, when necessary, extensive onsite research beginning with the state archives and continuing with the local record repositories including state and local historical societies. Although many records have now been digitized and are available online, a visit to a national, state or other archives will quickly convince you otherwise. The actual number of digitized records in almost any state archives is very small compared to the number of records in their collections. 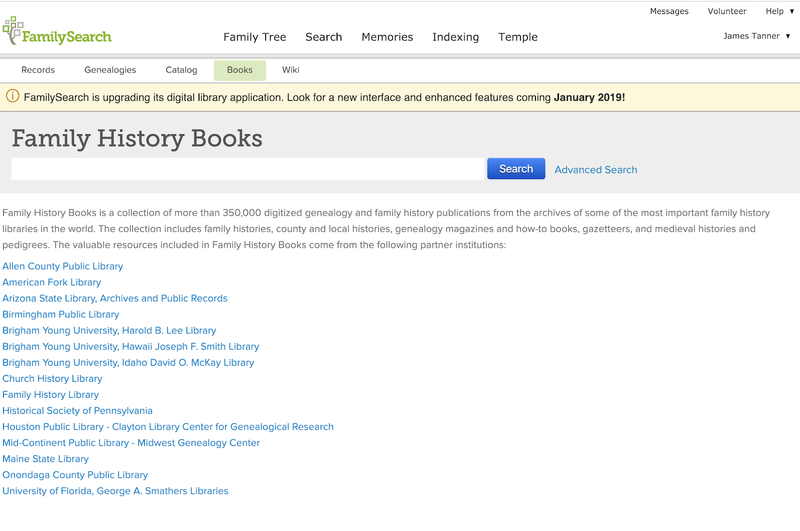 The Digital Collections are extensive but genealogists cannot expect that all of the collections will relate to genealogical research, many of the collections are historical in nature and only incidentally valuable to genealogists. Depending on the state, the state archives may or may not have all of the genealogically important records. For example, in Alabama, the probate records are held by the individual counties. 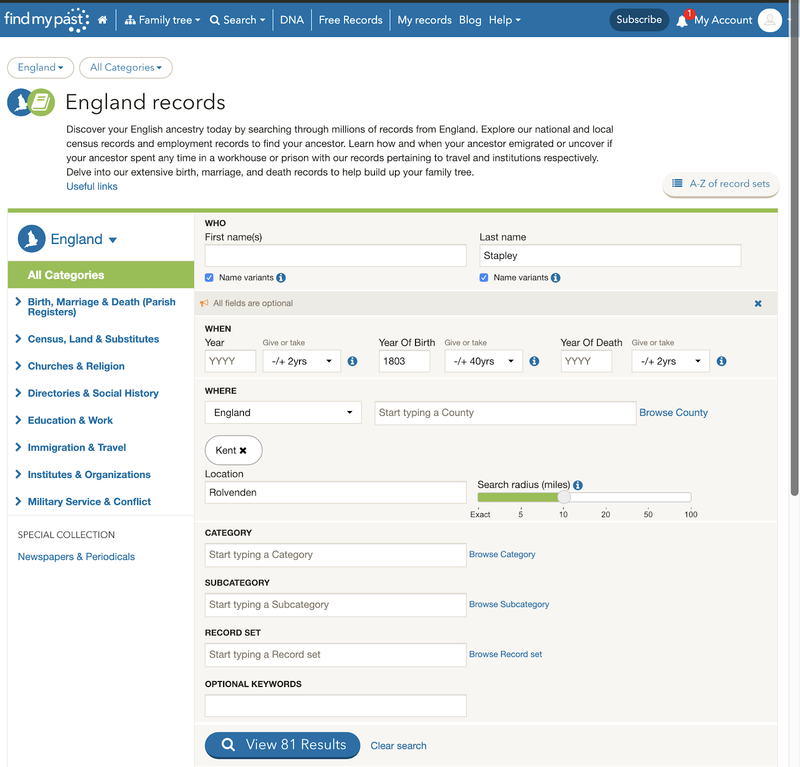 However, huge collections of these records are available from the online genealogy websites such as FamilySearch.org, Ancestry.com, and others. 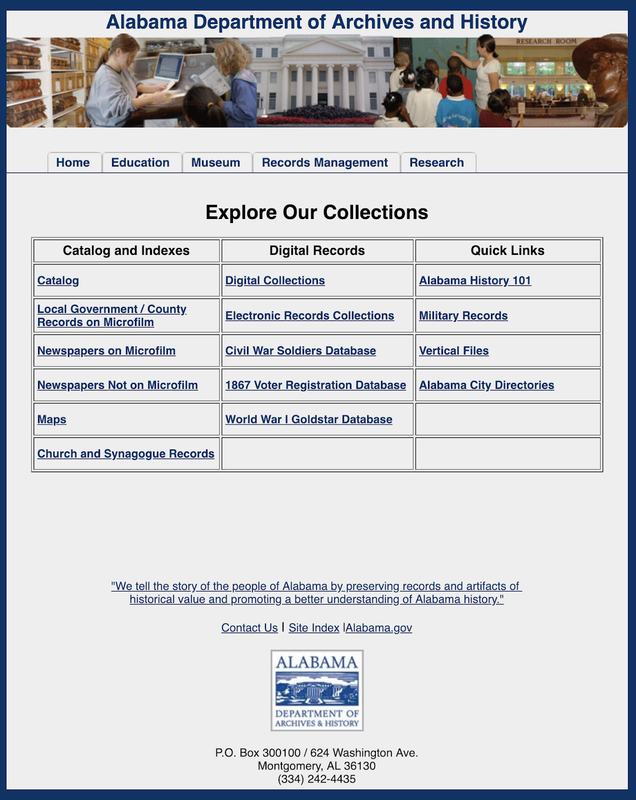 Watch the videos, explore the website, and search for Alabama records online but when you think you are done with your research, take the time to look into a visit to the Alabama Department of Archives and History. 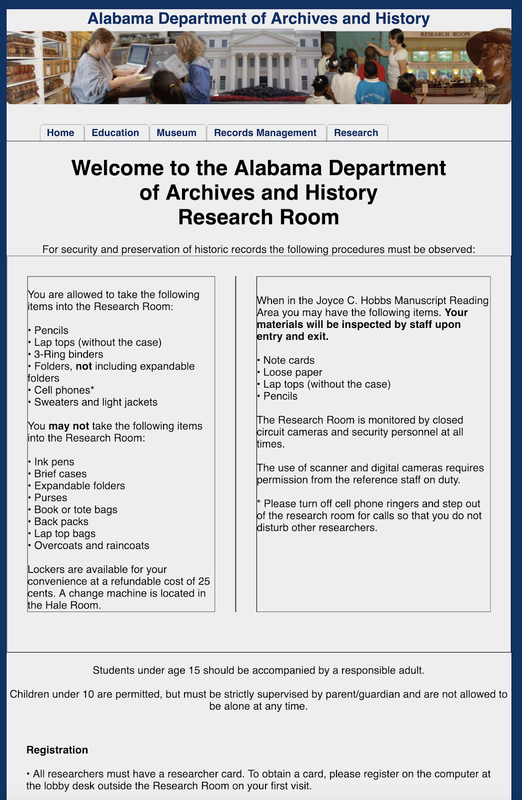 Remember to check the requirements for research at the Archives. Also, remember that each state archive has its own rules and regulations regarding access to the records and that these rules need to be carefully followed. Jake Shimabukuro at RootsTech Salt Lake City!